Lutheranism is not a denomination, movement, or its own religion. It is a confession of the Christian faith. Lutherans simply confess the Christian faith as it has been carried down from generation to generation. And so, the Lutheran Church did not originate with Martin Luther. It also does not claim to go back to the early church, as if the Church did not exist and grow through two millennia of history. In this way, Lutherans confess to hold to the one, true catholic faith. That is, the one faith that believes in one Lord Jesus Christ and “one baptism for the forgiveness of sins” (Eph 4:5, Nicene Creed). This confession of faith is found in the ancient ecumenical creeds of the church—The Apostles’, the Nicene, and Athanasian Creeds. 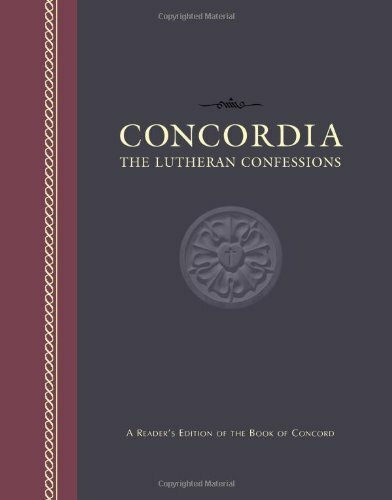 This confession is clarified in the Ausgburg Confession and other confessions all collected in the Book of Concord. Because we believe this confession to be a correct exposition of the Bible's teaching, our congregation has subscribed to these confessions and agreed that what is taught in our church will be according to it. Likewise, our pastor has promised to conform his teaching to this confession, which he has also made his own. We invite you to join us in studying the Scripture, receiving what Jesus has given us through them, and confessing before God and men what we know to be true.